An air conditioner is an appliance or system that uses a refrigeration cycle to extract heat from an enclosed space. 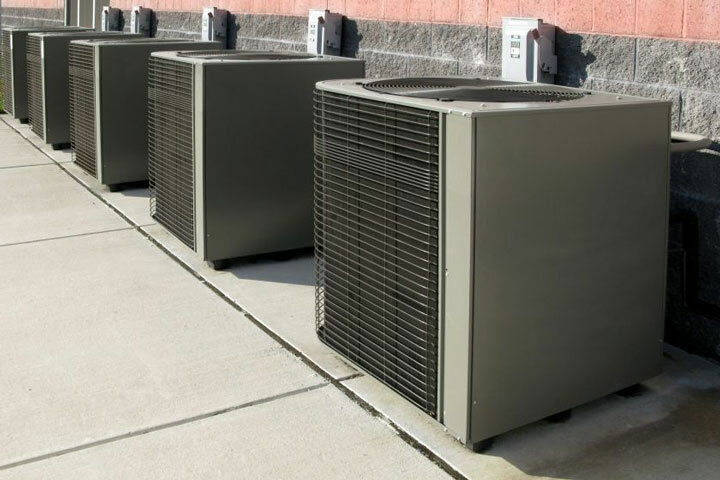 Air conditioners are available as self-contained units or as components of integrated heating, ventilating, and air conditioning, or HVAC, systems. Mary H.j. Farrell. Consumer Reports. Thursday, 4 Apr 2019 15:08:43 +0000. De'Longhi's Pinguino portable air conditioner works with Google Assistant and Amazon Alexa. Molly Price. CNET. Sunday, 03 Mar 2019 16:01:41 +0000. 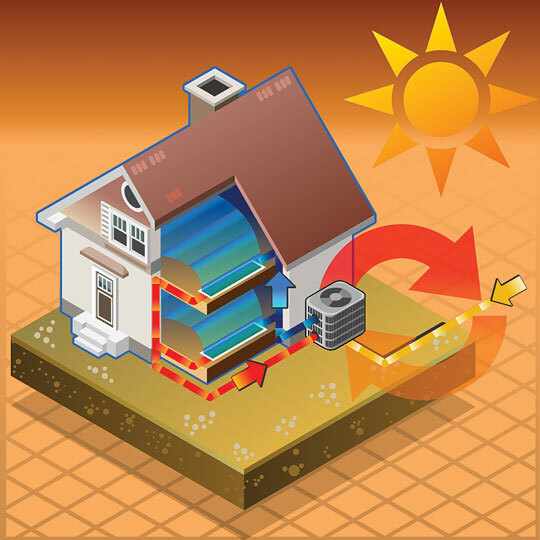 Most air conditioners utilize a closed loop refrigeration cycle to cool indoor spaces. 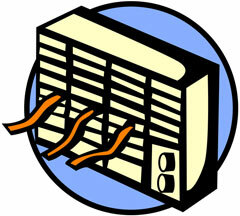 Warm indoor air passes across an indoor cooling coil, or evaporator coil, giving up some of its heat. The cooled air is circulated indoors by means of a blower or fan. 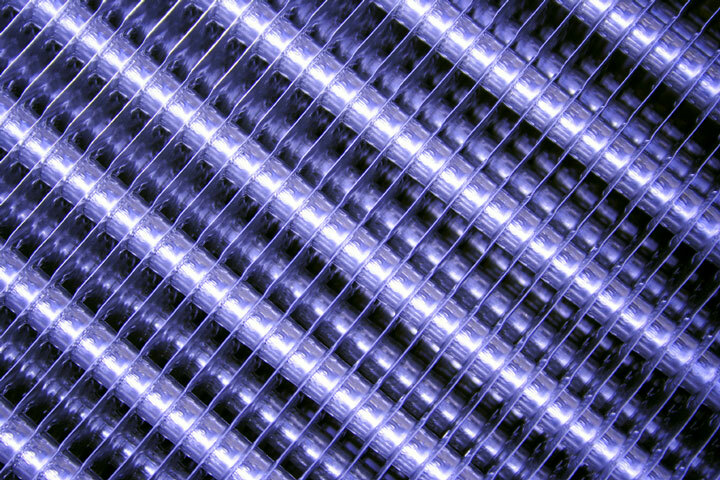 The heat that is absorbed by the cooling coil causes the cold, liquid refrigerant flowing through the coil to vaporize. The vaporized refrigerant carries the heat to an outdoor compressor, which compresses the refrigerant vapor, raising its temperature higher than the outdoor air temperature. 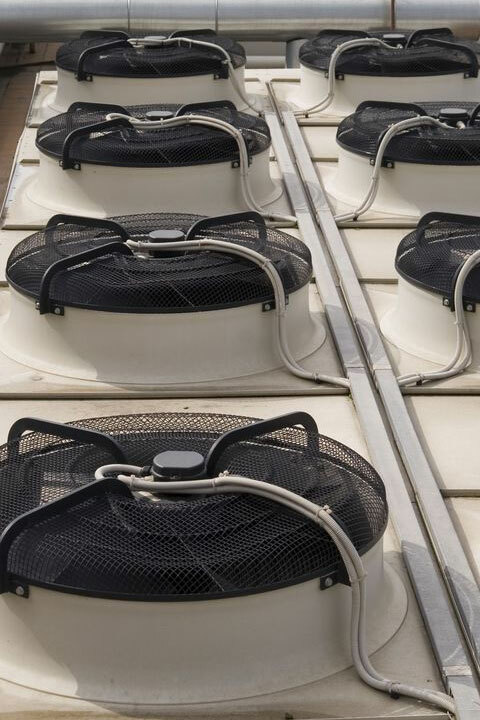 A fan blows relatively cool outdoor air across condenser coils, through which the hot refrigerant flows, causing the refrigerant to liquefy as it gives up heat to the outdoor air. The high-pressure liquid refrigerant then passes through a restrictor, reducing its temperature and pressure. 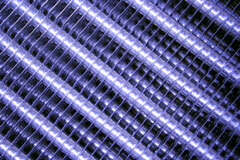 The cold, liquid refrigerant re-enters the indoor evaporator coil, completing the refrigeration cycle. The origins of the modern air conditioner can be traced back to early 19th century discoveries by British inventor Michael Faraday and Florida physician John Gorrie. Faraday discovered that compressed, liquefied ammonia could cool the ambient air when allowed to evaporate. Gorrie created ice and cooled the air in his hospital patient rooms, by means of compressor technology. He envisioned using these ice-making machines to regulate building temperatures and even to cool entire cities, but his ambitious plans were not realized in his lifetime. Not until the early 20th century would the idea of air conditioning be revived. In 1902, Willis Haviland Carrier invented the modern electric air conditioner, designed for controlling temperature and humidity at a printing plant. Carrier's invention was later used to improve comfort in other industrial plants and offices as well as in private homes and vehicles. It wasn't until 50 years later, though, that residential air conditioner sales really took off. In 1906, North Carolina textile mill owner Stuart Cramer first used the term air conditioning to define his method of regulating the amount of moisture in the air that ventilated his textile factories. Carrier later used this phrase in naming his company The Carrier Air Conditioning Company of America. Early air conditioners used refrigerant gases, such as ammonia and methyl chloride, which were potentially harmful to human beings if they leaked. In 1928, Thomas Midgley Jr. invented the chlorofluorocarbon gas, Freon, which was safer for humans but has been found to harm the ozone layer in earth's atmosphere. More recently, refrigerant manufacturers have developed several chlorine-free, ozone-friendly refrigerants such as R410a, also known as Puron. Comfort, such as when humid, hot air is cooled during warmer months. Health, such as when the air contains dust, bacteria, toxic gases, or odors that are generally unhealthy for humans. As a rule of thumb, air that has been conditioned has been heated, cooled, had moisture removed from it, moved around the room through means such as fans, or has been filtered or cleaned. There are many different ways to condition the air, from simple fans that circulate the air to whole home air conditioners that do triple duty by cooling, dehumidifying, and removing toxins and impurities. While there's a belief among the general public that machinery is responsible for heating or cooling a room, this is only partially true. In fact, it is what the machinery does to the air in a room — how the air is manipulated — that eventually determines the atmosphere in the room. 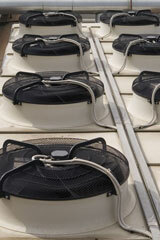 When it comes to cooling a room, one of the most important considerations is how the air circulates. As a general rule, in order for a room to remain comfortably cool, a sufficient volume of air must be circulated at all times. This allows both the moisture to be drawn into the air conditioner and absorbed from the room, and also removes any moisture and heat surrounding the occupants of the room, allowing them to remain comfortable. Both central air conditioners and smaller, window-mounted or wall-mounted room air conditioners are designed not only to carry away moisture and heat, but also to circulate air. A room that is too moist should be dehumidified, for both comfort and health. In addition to feeling "sticky," air that is too moist is an ideal environment for bacteria, mold, and fungus, and can have a negative effect on those who suffer from allergies. Dehumidifiers work by removing moisture from the air through the process of condensation. A fan is used to gather water from the air, which condenses when it comes into contact with cool metal coils. The water is then collected in a holding unit, such as a bucket. The air that is returned to the room is reheated and dried. A wide variety of air purifying products are designed to improve quality of air by removing odors as well as particles of dust, mold, fungus, and smoke. The type of filter used will depend upon the types of particles that need to be removed. Dust and fumes require wet filters to "wash" the air, while soot and carbons require a dry filter. This air conditioning solutions directory lists air conditioning product and service suppliers throughout the United States of America. For your convenience, each supplier link will open in a new window.